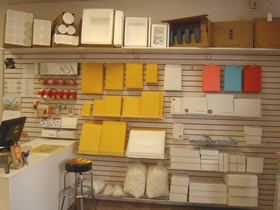 Jonesboro Pak Mail has the Packaging & Packing Supplies you need! At Pak Mail, we specialize in custom packing services, and we're always ready to expertly pack and ship your home or office. We want to help ensure that your valuables reach their new destination safe and sound. However, if you plan to "do it yourself," or just need some advice, we'd be happy to consult on our wide array of materials for all of your packaging and moving needs.